This mighty wooden monster was created for a client’s publication. 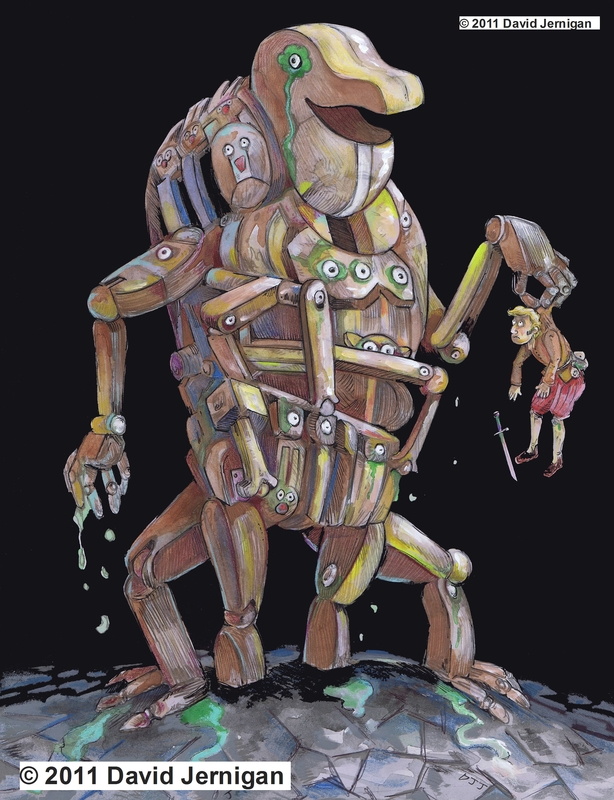 The monster was the client’s idea and is a conglomerate of wooden toys that combined to make a huge wooden beast to be held together by some magic dripping green goo; the creature’s disposition was not elaborated upon, so it might be friendly or not. I created this illustration with markers and watercolors. This is a watercolor drawing I created a few years back. I found this sketch tucked away in the pages of an old sketch book. Farms and animals come up a great deal in children’s illustration. 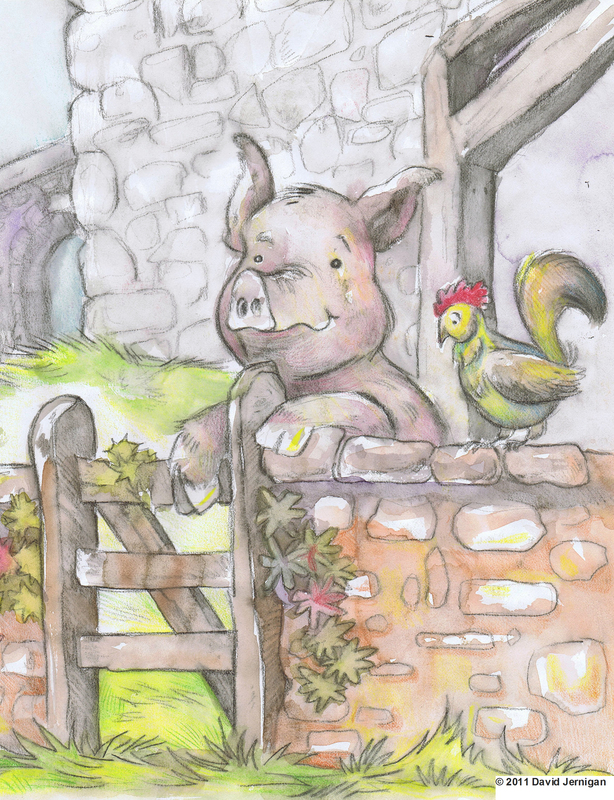 The ability to draw cute pigs and chickens is an accentual skill for any children’s illustrator. 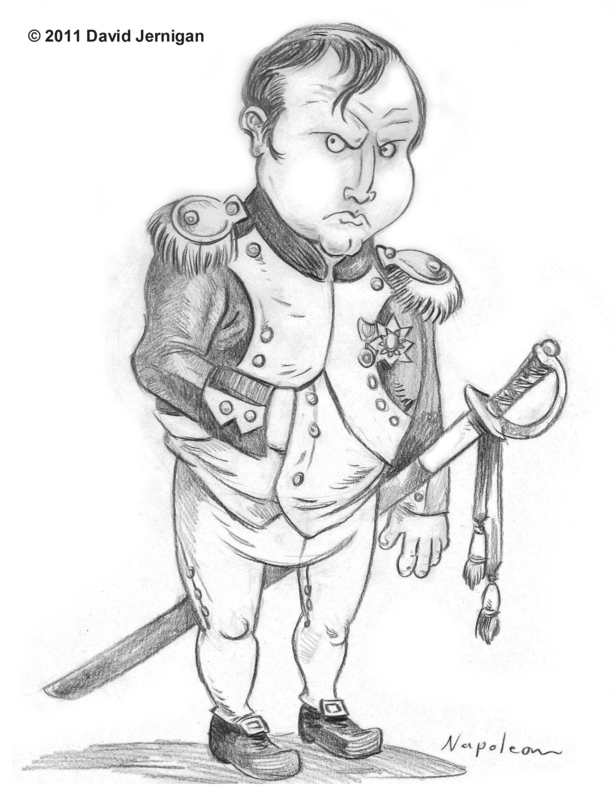 Good old Napoleon with his Napoleon complex. I used a black colored pencil to create this sketch. Henry the eighth I am, I am. This is a sketch of Henry the Eighth in all his ornate glory. I should have made him larger and more rotund. 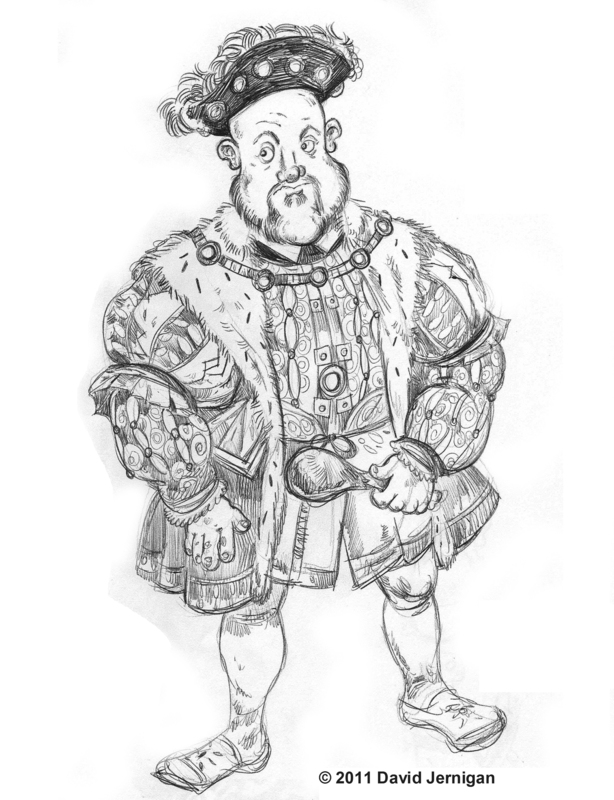 After watching an episode of the Tudors I was inspired to make a more accurately plump Henry the Eighth. I have always had an interest in pirates since I was very young, particularly the buccaneers of the golden age of piracy. 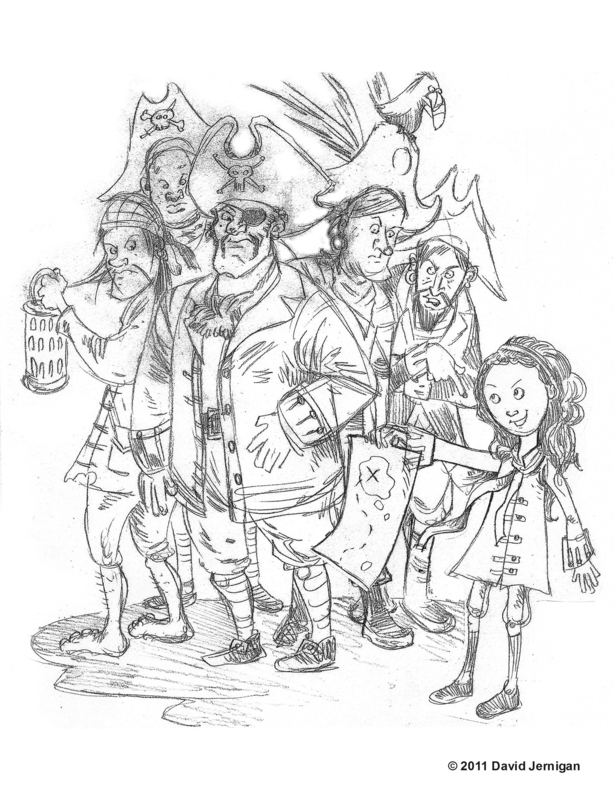 Violent crime and extortion on the high seas is an unusual subject matter to become popular in children’s literature, but you cannot contest its popularity. Arggg here there be pirates. I have always had an interest in pirates since I was very young. 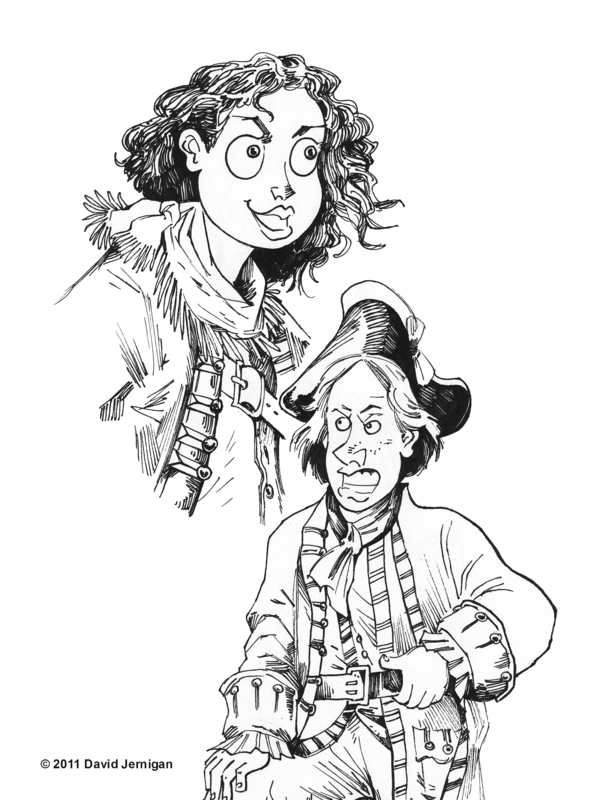 I tried a different look for the faces of these pirates than what I typically draw. 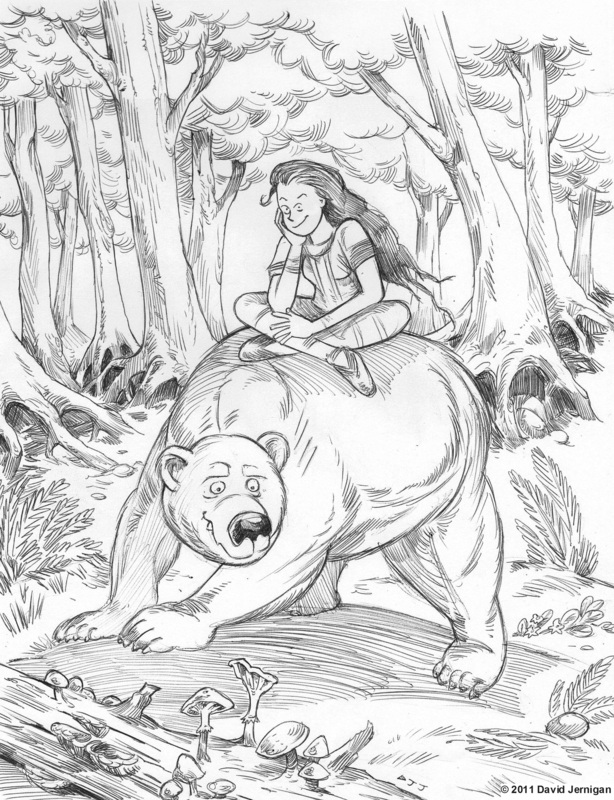 Sometime I hope to turn this sketch into a full color illustration. Not sure exactly what inspired this drawing. I was looking for an interesting subject and was thinking about bears and woods. 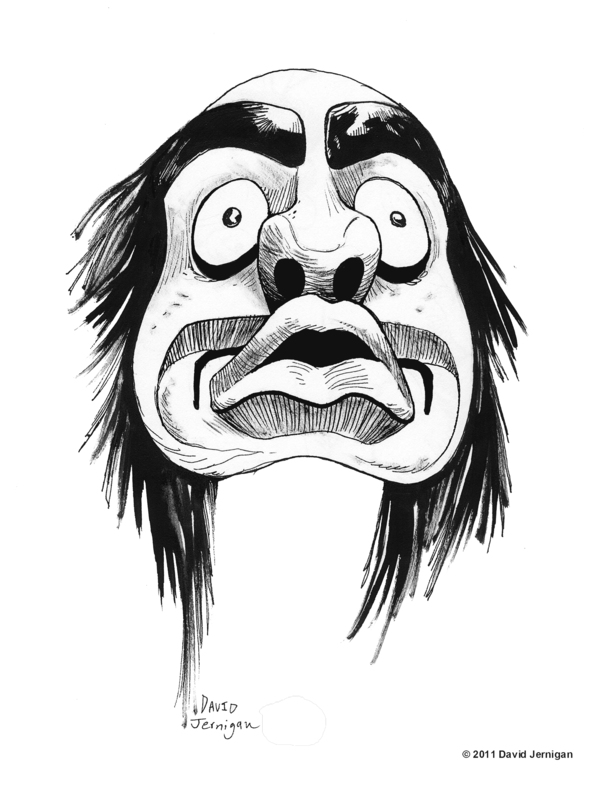 This is an ink wash drawing of an Alaskan Indian mask. I used a photo I took at the Detroit Institute of Art for reference. There was a huge verity of masks from many cultures at the DIA. The one thing that the masks have in common is that they are all quite stunning to behold.